Home » untethered » Untethered Jailbreak 4.3.x is Coming to Town! Untethered Jailbreak 4.3.x is Coming to Town! Untethered Jailbreak for 4.3.x is coming to town! 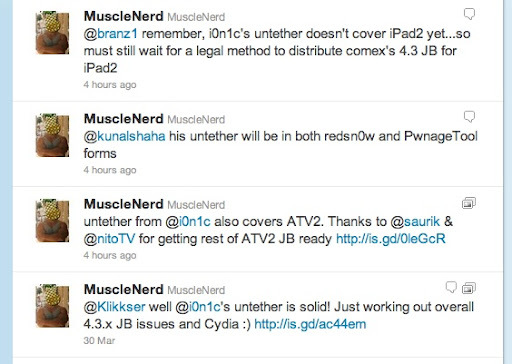 Although currently the ATV2 JB is already working, they are still working on the iPad2.